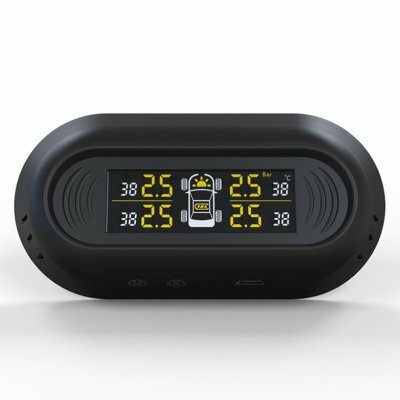 Successfully Added Car Tire Gauges Pressure Monitoring System - TPMS Vehicle Wireless Digital LCD Display to your Shopping Cart. --True color display, four wheels with the display at the same time. --The receiver has a built-in chip +metal lithium battery, Intelligent light sense adjusts brightness. --Accurately monitor tire pressure and temperature values ​​throughout the process. --Dual charging design, solar + line charging. --Ultra-sensitive response, large volume alarm prompt. --Installation is simple and convenient, you can install it yourself. Note:The colors deviation might differ due to different monitor settings, please kindly understand.